1. Place all ingredients listed under the sauce in a small saucepan and whisk together to form a thick paste. Note: this sauce can be stored in airtight container in the fridge for months. 2. Knead together all ingredients listed under the crackers to form a soft dough, let it rest for 15 minutes. Rolled it out to form a thin disk, deep fry until golden brown and crunchy. 3. 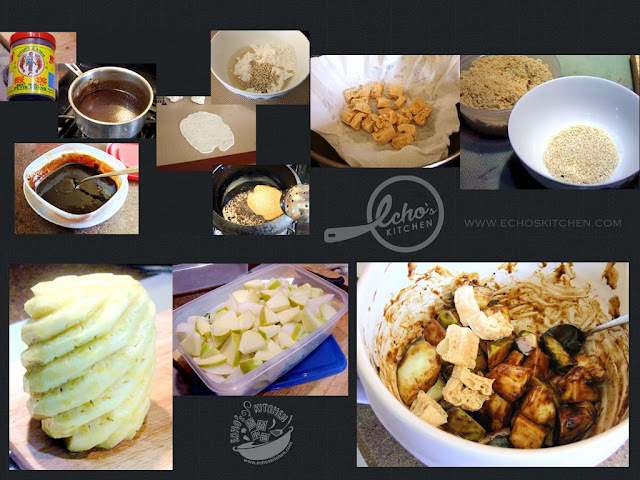 Halved and deep fry puffed tofu until crunchy. 4. Clean and cut all the fruits into bite size. Crush the peanuts and roast sesame. 5. Place about 5 tbsp of the rojak paste in a salad bowl, add fruits and mix well, make sure that all fruits are coated with the sauce. 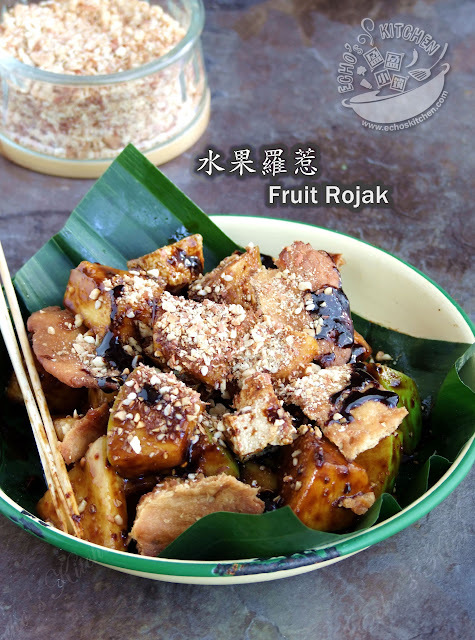 Break the homemade crackers into bit size and add it to the Rojak with the fried puffed tofu at the end. 6. 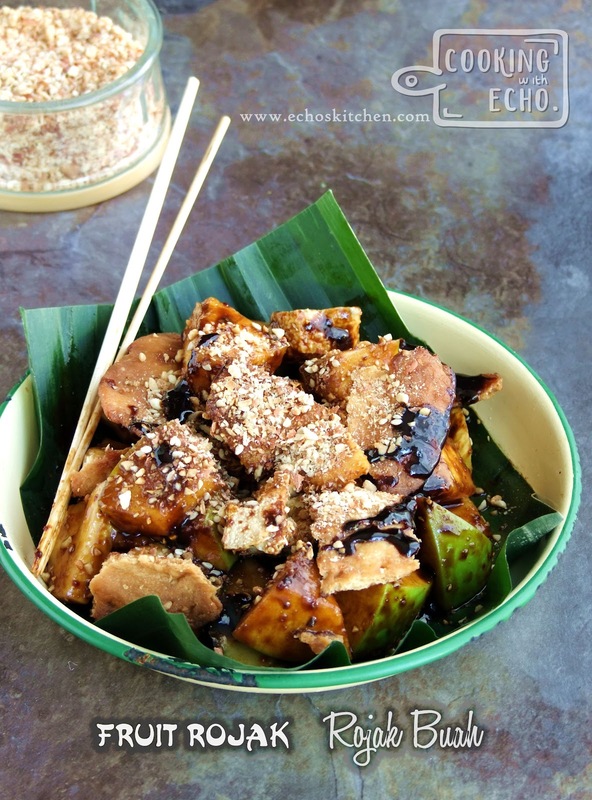 Take the rojak out and place on a serving plate, sprinkle crushed peanut and sesame. Serve right away!